Tangled with the Fighter is book 1 of A Beatdown and Bent Over Romance trilogy. 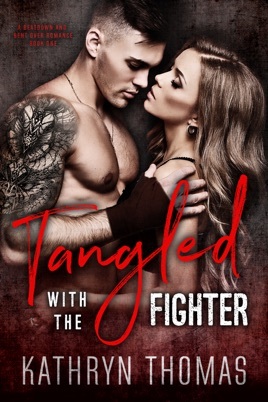 Books 2 and 3, Tangled with the Boxer and Tangled with the Warrior are available everywhere now! I thought my life couldn't possibly get worse. Then I met him. He doesn't care that I'm a single mom struggling to keep my head afloat to provide for my daughter, that my life has no room for a washed-up MMA fighter, that the last thing I need in my life is a bad boy—an arrogant, womanizing, wrong-in-all-the-right-ways bad boy. He thinks that just because he's hired me to keep his house in order, that I'm his to boss around. He thinks he knows me, knows what I want, what I crave, what I fantasize about. He thinks I'm his to enjoy. That he's going to make me beg and scream. The worst part of it all? I think he might be right.